STOP! Before you read any further, look at this undenyable proof showing how our program at Maryland Hypnosis works for people like you! An ABC News investigative reporter interviewed some of our clients using our unique weight loss approach. The original and follow-up interviews are shown below. You will be SHOCKED by the results! One client lost 42 pounds and 32 inches! These stories went national! Yes, this is us! When you look into the mirror, do you not like what you see? Are you suffering from weight-related health problems? Have you had to exit the amusement park ride because you couldn’t fit in the restraint? Do people stare at when you walk past? Are you worried that people find you unattractive? Do you avoid the beach in the summer time? Are you sick and tired of feeling like a prisoner in your own body? You’ve probably tried and failed many fad diets. But here’s a secret: diets and counting calories don’t address the mental reasons why you are obese. This is why when you tried to lose, you only served to gain more. At Maryland Hypnosis Center, we have your solution and we have the successes to prove it! Our highly successful approach includes the proven and trialed (the program at Maryland Hypnosis is the ONLY scientifically trialed weight loss with hypnosis protocol) virtual gastric band which allows you to be convinced that your stomach has been shrunk down to the size of a golf ball, where you will have all of the feelings and benefits of a gastric band procedure without the risk and discomfort that invasive surgeries bring, and you will still lose weight. However, this is far more than just the virtual gastric band program that other hypnosis providers will give you. Our virtual gastric band serves as just the foundation of the portion control program as we also help you with confidence, exercise, stress management, the REASONS why we eat, and so much more. 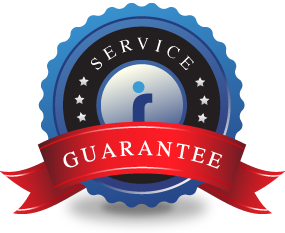 With our written SERVICE GUARANTEE and our excellent track record of success, you have nothing to lose but the pounds. Call Maryland Hypnosis today for your FREE screening to see if hypnosis is right for you! 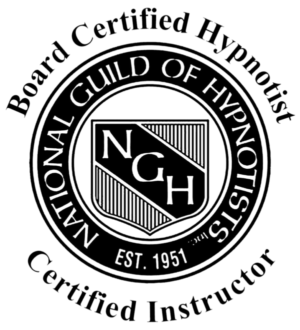 While people actually come to Maryland Hypnosis from all over the USA, we mostly help people from Glen Burnie, Pasadena, Annapolis, Maryland, Crofton, Millersville, Elkridge, Hanover, Arbutus, Dundalk, Essex, Severna Park, Westminster, Frederick, Arnold, Brooklyn Park, Baltimore, Pikesville, Reisterstown, Anne Arundel, Ocean City, Woodlawn, Cockeysville, Sykesville, Howard, Stevensville, Anne Arundel, Howard, Harford, Queen Anne’s, Easton, Talbot, Worcester, Delaware, Laurel, Jessup, Linthicum, Montgomery, Prince George’s, Catonsville, Silver Spring, Bethesda, Germantown, Washington, DC, Calvert, Columbia and almost everywhere in MD, Virginia and the District of Columbia!